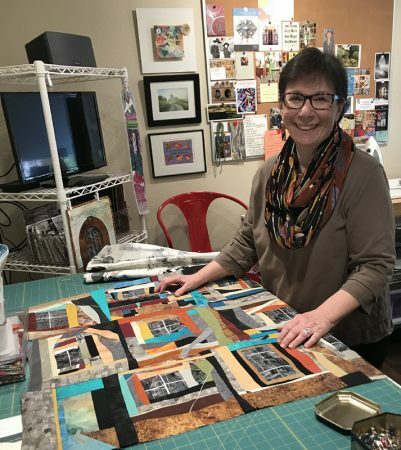 Carole Rossi is a quilt & fiber artist, living in Sacramento, California with her husband Gene and their lively Chocolate Labrador Retriever, Emma. Creating her art is not just important to Carole – it is how she thrives. 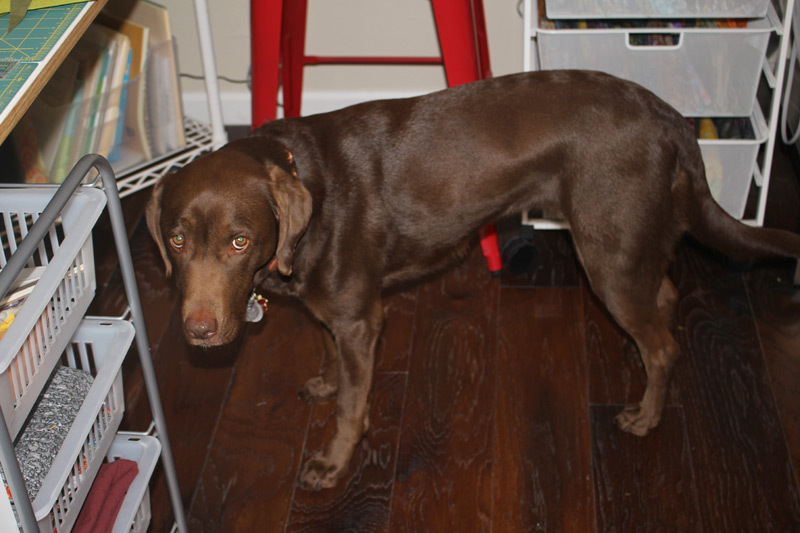 Any day without spending time in her studio is a day with something missing, a day that is incomplete. The smell of fabric, the colors, the textures – it is her passion and her joy. Carole learned how to sew from her adored and very patient Italian grandfather, an accomplished tailor and passionate opera lover who emigrated from Italy to America in the early 1900s. Carole’s path as an artist has proceeded alongside a successful and satisfying career as a lawyer specializing in higher education & employment law. 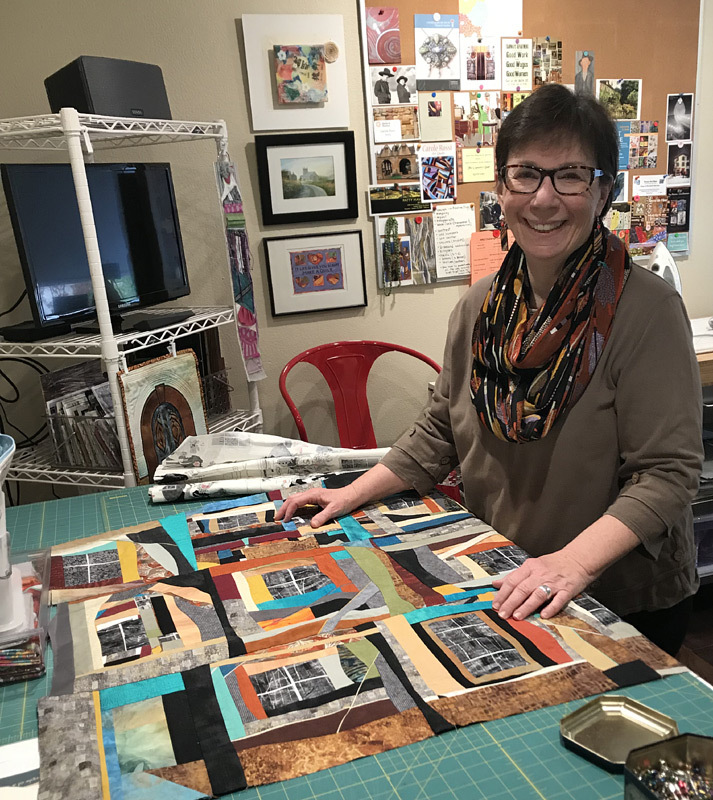 Her lawyer training has strengthened her analytical ability, organizational skills and patience – all of which help her as an artist. Currently, Carole uses improvisational piecing techniques in her work, creating abstract and fanciful representational images, often loosely based on her photographs of places well travelled and loved. More than one person has commented that even her abstract designs are “architectural” in nature. Every day she learns something new through her art and is excited to share her creations with others.